Well, here we are, into the first week of January. It started off a little rough for me, with flat tire number 2, but thankfully it was repairable. Sheesh. No more car things anytime soon, m’kay?!? I have been doing better with my cooking and eating – bringing my lunch every day and actually eating it, instead of being tempted with outside food ordering, or the like. I feel like I’ve lined up pretty good weekly menus so far this month and that really helps, all around. How has your 2019 been going so far, this first week? I hope well!! 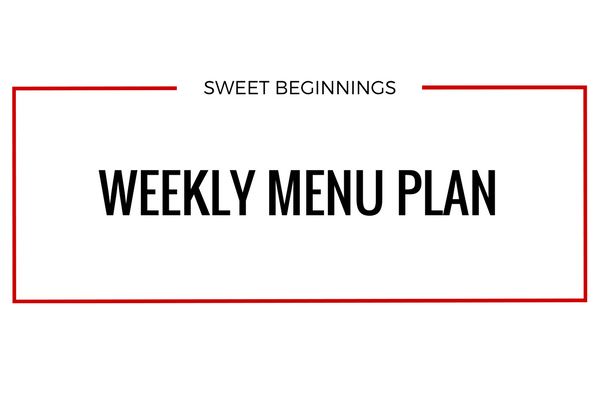 Check out my menu for the upcoming weekly menu below – I hope it gives you some inspiration!